Our aim is to offer fantastic service at very reasonable prices. 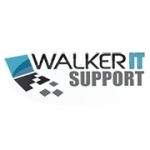 We are based in Gateshead and are specialists in laptop, desktop computer and server repairs. We diagnose and repair all kinds of computers, laptops, notebooks, wireless network, Internet and network problems for both home and businesses covering Newcastle and Gateshead.